We, at Audi Lynbrook, in our ongoing effort to make an impact on our community are proud to announce our sponsorship of a local youth soccer league! Soccer 4Kids Athletics which is run by Coach Jason Russell, has a variety of youth programs from ages 2.5 and up. The competitive teams are Star Strikers (BU6), Star Kickers (BU7), and Star Rollers (GU7). Coach Jason has a motto "Love what you do and coach the youths with love - PROPER PRACTICE makes it PERFECT!" It is also the belief of the league that no kid will be left behind. There is a spot for all children that want to learn the sport. The teams compete in various tournaments throughout Long Island. Most recently they participated in East Meadow's Memorial Weekend tournament and Tony Chiofalo Charity Tournament in Sachem. In the upcoming months, they will be competing in tournaments in Massapequa and Long Beach and possibly as far as Maryland! We wish them the best of luck on their adventures! We, at Audi Lynbrook, have decided to help raise awareness for breast cancer and make an impact in our community. Breast cancer is something that no one should ever have to experience. Unfortunately, breast cancer has affected almost everyone at one point in their lives, whether a friend, family member, or yourself. Audi Lynbrook has been fortunate enough to receive help from our own neighborhood, as well as from across the country in the joint effort to raise awareness. On October 19th, A few of Audi Lynbrook's team members participated in a 5 mile "Making Strides" walk at Jones Beach. 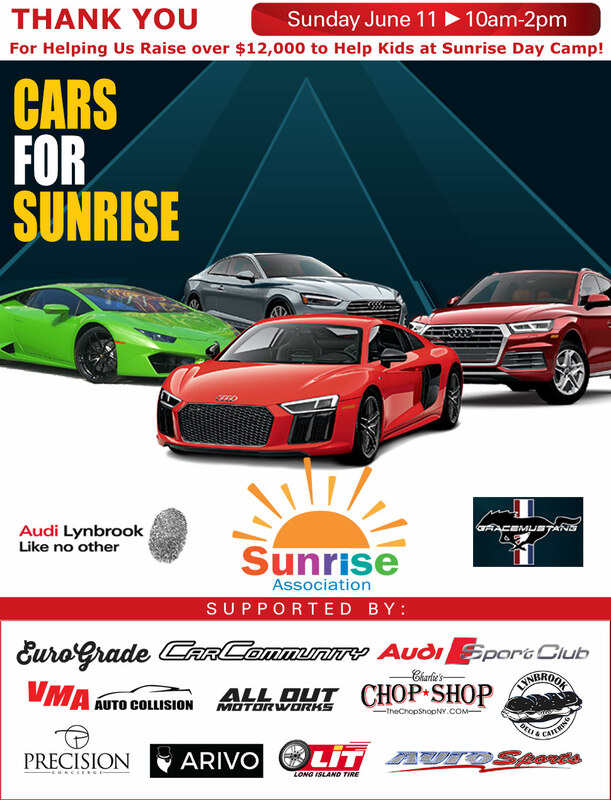 With the goal of raising $1,000, Team Audi Lynbrook raised $1,560. The walk we joined had 1,700 total teams participating, and raised a sum total of $1,749,141.07. This was our first year participating in the Making Strides Event and we hope that this will become an annual tradition for everyone here at Audi Lynbrook. We would like to take this time to thank all of our wonderful supporters; you have helped bring us one step closer to finding a cure. Take a look below at pictures of our team members from the event!